Chances are you discovered “your future” on the playground by using a paper fortune teller. Paper fortune tellers, also known as “cootie catchers”, are a fun way to add a dose of thrill and intrigue to celebrate the occasion. 1. If you’re unsure about how to design your paper fortune teller, start with a template. 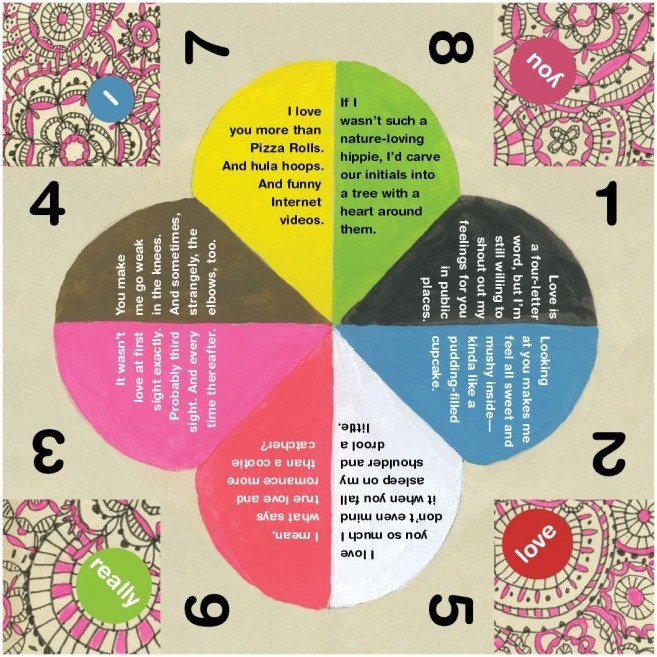 Pinterest has dozens of template options available to give you an idea of the basic structure of your fortune teller, as well as images to spark your creativity. About.com’s Origami section has a ton of brilliant printable fortune teller templates to choose from. 2. Folding fortune tellers can be quite a doozy but is part of the fun. Here is a video that lays out the steps to fold fortune tellers. Or if you prefer still images, here’s an article that outlines the steps. If you haven’t been on a scavenger hunt since you were a child, fear not—themed scavenger hunts are fun for adults too. Whether you set up a photo-hunt or a standard follow-the-clues style hunt, the basic principle is pretty straightforward: start with a note that leads to another note and so on. 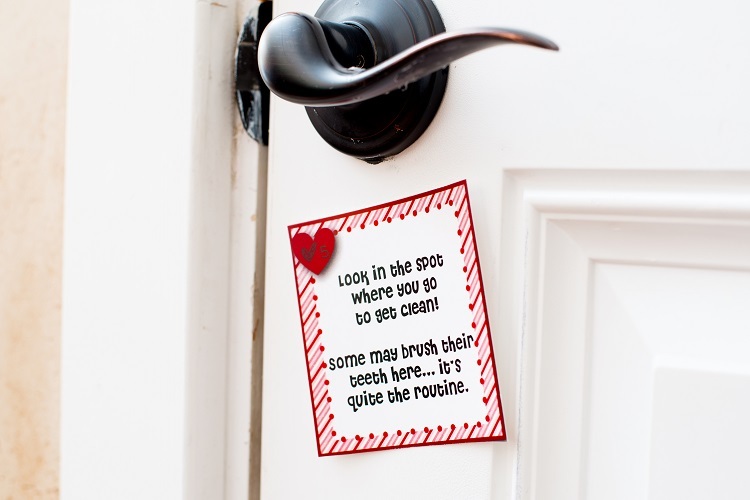 The note should gives them directions, coded or otherwise, to a location where they will find a gift, as well as directions to the next destination. 1. Make a treasure map. Each item collected along the path can piece together to assemble a map to the final destination (whether that be a restaurant, a hotel, or a room in your home). This adds a degree of design to the planning process, but can really enhance the effect of the hunt. 2. Each checkpoint can be meaningful. Make your clues experiential. Include familiar stories, inside jokes, or mention something you love about that person or share a memory that you think is special. Even better, put your checkpoints in places that have a special significance. 3. Start slow and build up. As you go through each checkpoint, make the prize (or the next clue) bigger and more exciting! 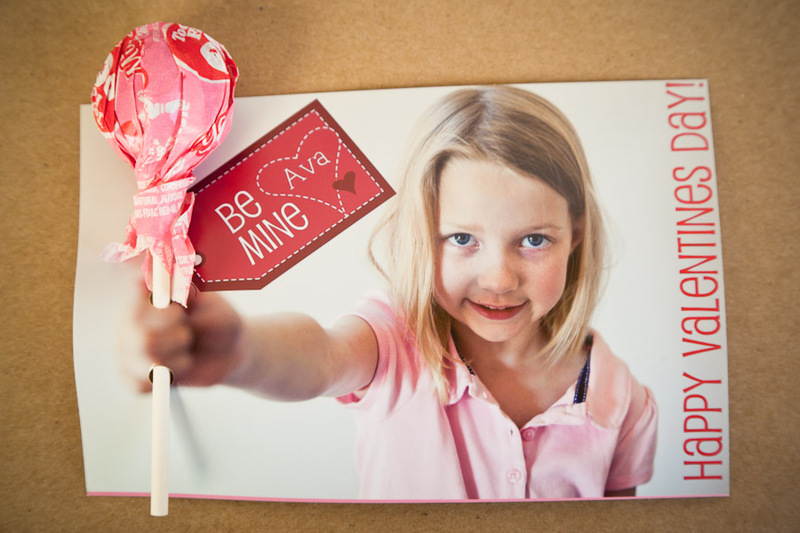 Put candy at one location, a small gift at another, but don’t give away the big secret too early. If step one is plane tickets and the second is candy hearts, then you’ve messed up the build. 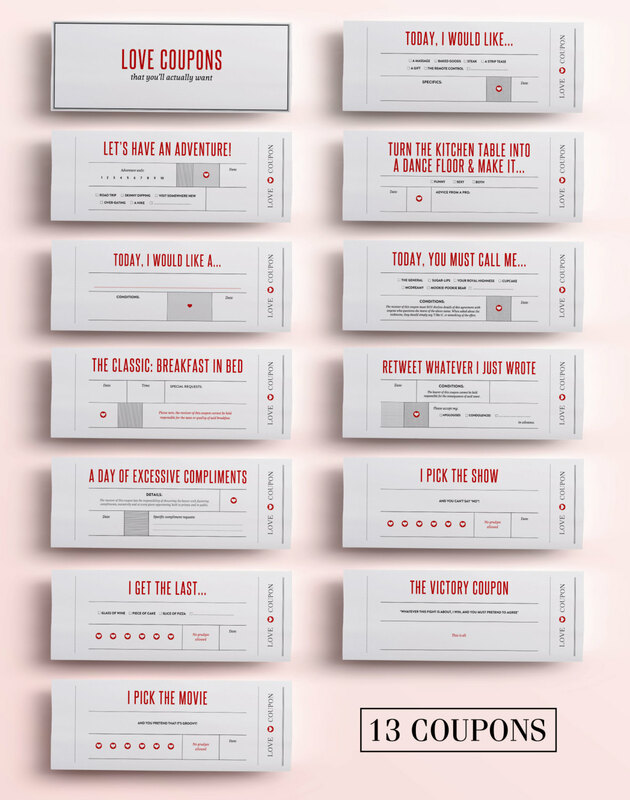 This ol’ chestnut is a classic for showing appreciation to your partner in creative and meaningful ways (especially on a tight budget). Commonly, it consists of coupons that can be “redeemed” for favors: doing the dishes and foot rubs for your spouse, tv time and ice cream, or game night for the kids. A coupon book is easy to make with little more than a word processor, printer, and a stapler too. Etsy has tons of love coupons ready for download or purchase. CrossbowPrintables offers really neat coupons as pictured above. 1. Think long and hard about what matters most to your loved ones joining the hunt. This can come down to little things, like whether they’d prefer a good meal at home or out at a restaurant, or a backrub. 2. Put one coupon in the book that is blank. Or why not several?! This gives your recipient the chance to tell you what it is they really want. This is, of course, a gamble with kids, but with some light parental guidance you can give them a special treat they’ll cherish. A blank coupon can also help you clandestinely research ideas to make a coupon book the following year. Or if you want to take a more traditional approach, why not print out a custom card? Making your own card offers the type of creative license that you simply don’t get with store-bought cards. Get some inspiration from TheModChik’s 3D Lollipop card as pictured above. If you wanna try something different, you can make it really small—perfectly sized to fit on those little trident-like holders that come with flowers—or really, really big. More importantly, you have the chance to customize the message inside, letting your loved ones know how you feel about them. 1. Sky’s the limit when it comes to expressing yourself through this medium so make the most of your creative freedom. 2. Struggling for an image to put on the front? Look through your old photos! If you have Photoshop skills, here’s your time to shine. Otherwise, everyone loves cats (right?). Remember, it’s the message inside that really counts. 3. Put something on the back of the card as well. You know how it says “Hallmark” on the back of the card when you flip it over? This is a great place to add a dose of humor. 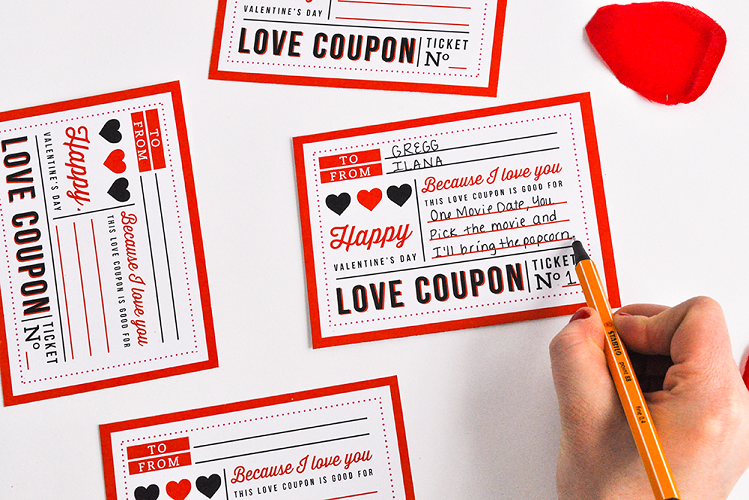 Before you jump into any of these V-day projects, make sure your printer is fully equipped with ink and the right paper! While it’s truly the thought that counts, using quality paper can enhance even the simplest designs and lend an air of legitimacy to your printable game. Pick up some good quality cardstock or resume-quality paper to give your prints the feel of a special day. If you feel like you’re running short on ink, get a backup ink cartridge to ensure you don’t run out mid-project. With that said, we wish you a fun Valentine’s Day!